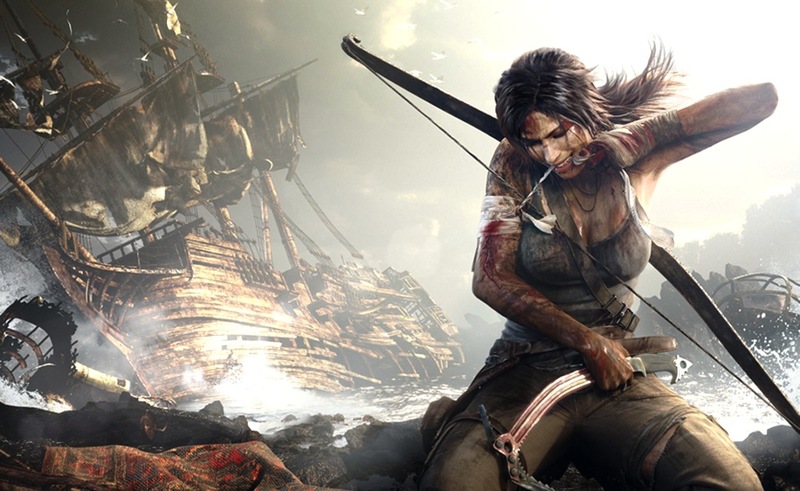 On March 5th, Square Enix launched Tomb Raider, which stars one of the world’s most popular video game characters, Lara Croft. The game tells her origin story, and depicts her journey from untried and untested 21-year-old to hardened survivor. To mark this new vision of a global icon, Diamond Select Toys have teamed up with developer Crystal Dynamics to create a line of Tomb Raider Minimates for their long-running toyline. Currently in its 11th year, Minimates are a 2-inch block figure line that has encompassed dozens of brands, from the Avengers to the Ghostbusters to the Expendables. With 14 points of articulation and a ton of extra parts and accessories, Minimates offer a full play experience in a very compact package, and the world of Tomb Raider will take Minimates into unexplored territory when the first series of figures is released this summer. The first series will have two overlapping assortments, one at Toys “R” Us and the other at comic shops and specialty stores, with a total of 12 different Minimates, to collect. A two-pack of Lara Croft with Molotov Scavenger will be available at all outlets, as will a “Battle Distressed” Lara with Armored Scavenger. Specialty stores and comic shops will also get two exclusive two-packs, in which Lara’s mentor Roth and Priest Mathias are each paired with a top-secret character from the game. Finally, Toys “R’ Us will get their own exclusive sets, one an army-building pair of Scavengers, the other an army-building pair of mystery opponents. 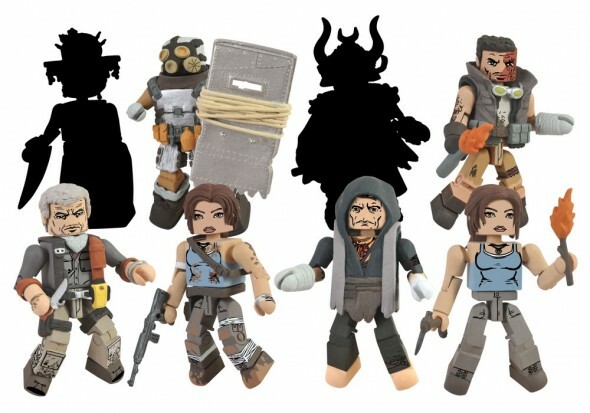 Each two-pack will come with character-specific accessories, ranging from weapons to cell phones to Molotov cocktails – all based on items that appear in the game itself. Look for the figures to arrive on store shelves this summer. Comic shops that can pre-order the specialty assortment can be found at Comic Shop Locator. Diamond Select Toys and Collectibles, LLC, was founded in 1999 by sister company Diamond Comic Distributors, Inc. Envisioned to create unique and exciting collectibles for children and adults alike, the company has licensed a variety of pop culture properties to be turned into merchandise. With partners such as Marvel Studios, Microsoft, Universal Studios, Twentieth Century Fox, MGM and Sony Pictures, Diamond Select Toys and Collectibles produces a large range of products based on a wide variety of properties, and is headquartered in Timonium, MD. For more information, visit Diamond Select Toys and Art Asylum. Square Enix, Inc. develops, publishes, distributes and licenses SQUARE ENIX®, EIDOS® and TAITO® branded entertainment content throughout the Americas as part of the Square Enix Group. The Square Enix Group operates a global network of leading development studios and boasts a valuable portfolio of intellectual property, including: FINAL FANTASY®, which has sold over 100 million units worldwide; DRAGON QUEST®, which has sold over 59 million units worldwide; TOMB RAIDER®, which has sold 35 million units worldwide; and the legendary SPACE INVADERS®. Square Enix, Inc. is a U.S.-based, wholly-owned subsidiary of Square Enix Holdings Co., Ltd.
More information on Square Enix, Inc. can be found here. 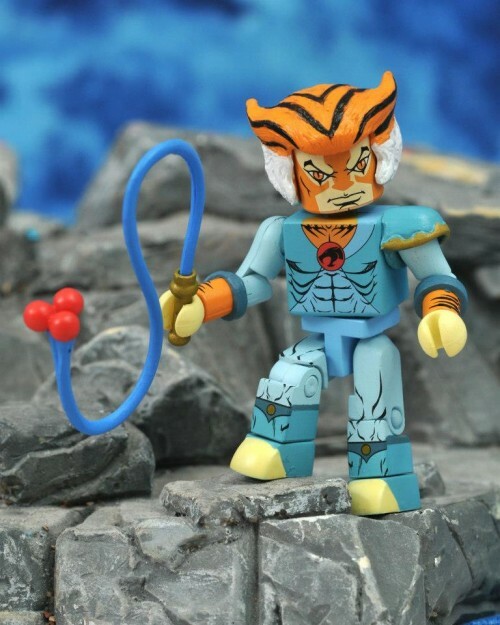 Next Up: New Thundercats Minimates Have Landed! Series 3 is In Stock at AFX!